Smoking' Band for your event. Oreo Blue has a long history in Arkansas as one of the mainstream top performing acts.You can feel the dance floor rumble when this great band takes the stage. Absolutely Arkansas's Hottest three piece Variety Rock n Roll Band Performing all of your favorite hit songs from the 70s - 2000s. Third Degree has one of the largest songlist you have ever heard. You can't say enough about this band, They are truly awesome musicians and admired by hundreds of musicians in the industry. When it's time to get the party started hiring Third Degree, one of Arkansas Rockin' variety classic rock bands in absolutely an awesome idea. LIQUID KITTY is a Classic Rock Dance band from Little Rock, Arkansas. Possibly one of the most diverse local bands in the state. Preforming all your favorite songs from the classic rock genre to new Top 40 pop and current dance music. 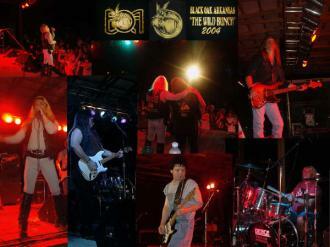 LIQUID KITTY formed in 2011 and has been entertaining crowds all over the state of Arkansas. This one four piece band of musicians that will No Doubt, entertain any party or corporate event. If you love to dance and sing along, LIQUID KITTY is the prefect choice for wedding receptions too. The bands song list is enormous from classic rock, top 40 dance music, even some current country, R&B.. This Arkansas band can play it and does it very well. You will love LIQUID KITTY.. Visit the band's website to hear some music samples and view a song list.